Project Learning Tree has published many more activities in its “Connecting Kids to Nature” series. These easy-to-do family activities help connect children to the outdoors and nature in ways that are both fun and educational. For example, teach children how to figure out the age of a tree, discover wildlife living in your backyard, or explore connections between plants, animals, and their surrounding habitat. Each activity builds children’s creative and critical thinking skills while they learn what the environment needs to remain healthy. PLT’s Nature Activities for Families guide now contains more than 30 activity ideas to do in your own backyard, while exploring a local park, on a walk in the woods, or around your home. Included in the guide is a new series of “Green Your Home” checklists that can help your family decide what you might do together to improve the environment of your own home. For example, identify ways you can conserve water and lower your energy bills. 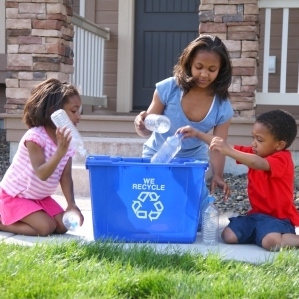 Analyze how you currently dispose of items and ways you can reduce waste, reuse items, recycle, and compost. Answer these yes or no questions and then make a plan as a family to make some simple changes around your home. 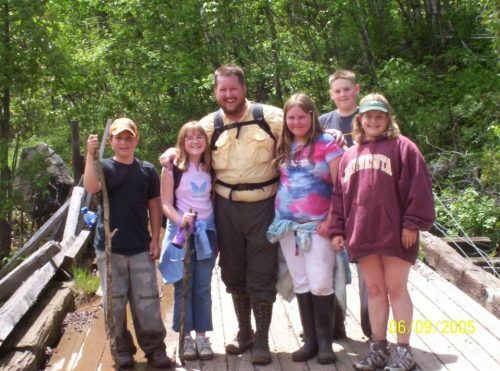 Individual activities are posted online, or you can purchase PLT’s Nature Activities for Families guide for $16.95. The guide includes journal pages, with room for children to make notes and draw sketches of what they observe. Play detective on your next walk in the woods and discover how plants grow, age, and decay. Give these activities a try on a rainy day or when you just can’t get outside. Visit shop.plt.org to purchase PLT’s Nature Activities for Families guide and take the children in your life outdoors in ways that are safe, fun, and full of learning!